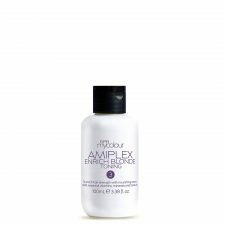 AMIPLEX lets you push the boundaries of creative colouring whilst maintaining the structure of the hair and helping to reduce breakages. 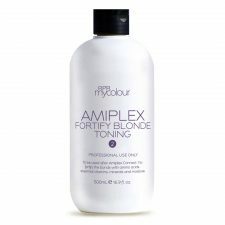 It is a professional advanced new 2 step bond-building system which intermixes with all colour and bleach products to ensure stronger, healthier hair during chemical processes. The professional range is complimented by take-home shampoos, conditioners and treatments to promote stronger healthier hair. The range is ideal for coloured, dry, damaged or frizzy hair. It is enriched with amino acids, antioxidants, jojoba, aloe and almond oil, providing strength and hydration to your hair. 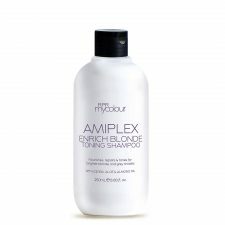 Choose from either Amiplex Enrich for coloured hair or Amiplex Enrich Blonde Toning. MADE IN ITALY. 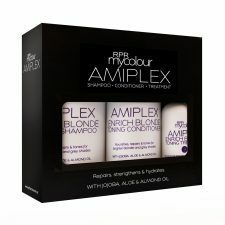 SCIENTIFICALLY FORMULATED TO REPAIR AND STRENGHTEN HAIR.